As stated in the National Bureau of Investigation (NBI) website: Effective December 27, 2016. The NBI Clearance Processing will strictly implement the “NO APPOINTMENT NO ENTRY POLICY” for NBI clearance applicants. No appointment will be available on the same day of application. 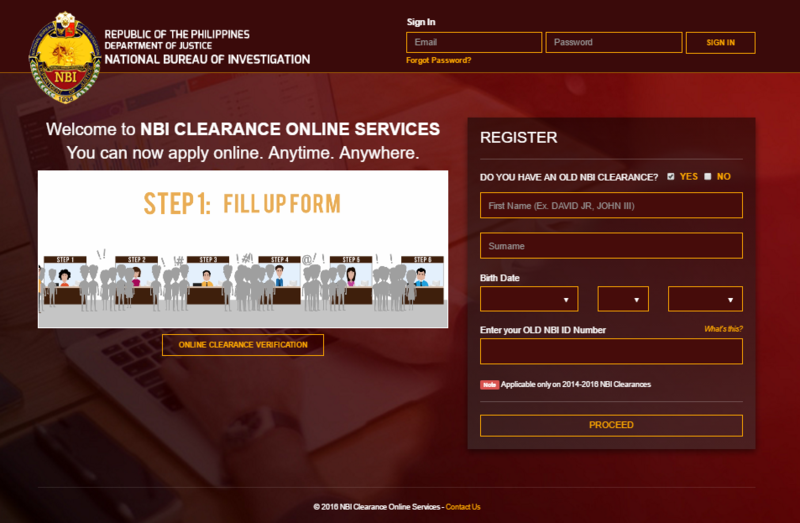 All NBI Clearance applicants are advised to register online and have their appointment date set in advance. 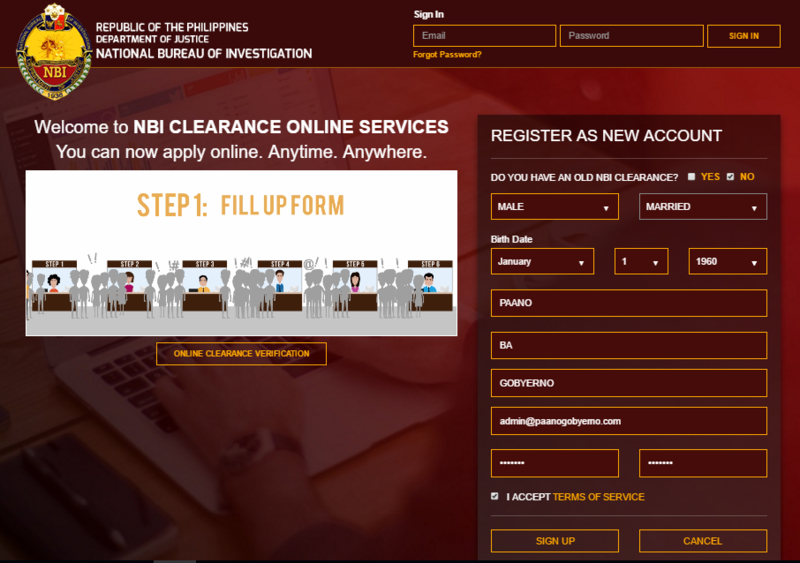 [b] if you have not yet registered, and it’s your first time to get the clearance, OR you have an old clearance dated earlier than Jan 2014, proceed to the Register panel, check the NO in the first question (Do you have an old NBI clearance?) and fill-up the details that follow to register as a new account; make sure you input the correct name, birthday and email, since you will not be allowed to edit this. *Note: Only one valid email account per user or per applicant is allowed. [a] If you have already registered, you will now be presented with your personal details. If the details do not need updating, click the APPLY FOR CLEARANCE button in the upper right hand side. Click the APPLY FOR CLEARANCE button in the upper right hand side. 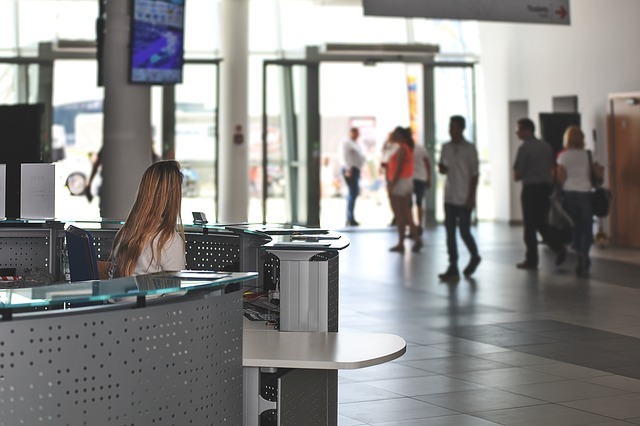 Whether you are a registered account or new account, the system will require you to set-up a pin for security purposes. Fill in the box and proceed. A new dialog box will appear, asking for the type of ID you will be presenting during the appointment date. Make sure you will bring this ID with you on the day for verification purposes. Click I AGREE. Read through the Important Reminder (available in English and Tagalog) and click CLOSE. Select a branch nearest you in the drop-down menu. Notice that the available slots will be displayed for each day in the calendar. Select the date and the time (AM or PM) you prefer. Take note that your schedule has an expiry date shown in the right panel. You can process your clearance after your set date but not after the expiration date stated. Select the purpose and detail of the clearance. The amount to be collected will now appear on the box below that. [a] BANK OVER THE COUNTER Pay cash over the counter to any banks like BDO, Metrobank, BPI, Landbank, RCBC, Chinabank, Eastwest Bank, Union Bank, Security Bank, PNB, DBP and more..
A payment page will open. Select preferred PAYMENT CHANNEL then follow instructions. You will be provided a REFERENCE NUMBER. Pay your fee to the selected Payment Channel using your REFERENCE NUMBER. Go to TRANSACTION PAGE and press CONFIRM PAYMENT button. After payment confirmation you can print your Application Form. [b] ONLINE BANK Pay Online using ONLINE BANKING partners (BDO Internet Banking, BPI Express Online, Chinabank Online, Metrobank Direct, RCBC Access One, Unionbank EON/Internet Banking & UCPB Connect). A payment page will open. Select preferred ONLINE BANKING OPTION then follow instructions. Go to TRANSACTION PAGE and print your Application Form. [c] MOBILE PAYMENT To buy load using GCash, just dial *143# for free using your Globe mobile, select GCash and then select BUY LOAD. You can send load to your own Globe/TM number or to other Globe/TM number. Select your preferred MOBILE PAYMENT option. Please follow instruction on screen. Go to TRANSACTION PAGE and print Application Form. [d] BAYAD CENTER Just process and pay to any BAYAD CENTER outlets or to their partners like Cebuana Lhullier, SM Savemore, LBC, Robinsons, eBiz, etc. [e] MULTIPAY Make sure you have a MULTIPAY WALLET to use this payment channel. To register, please go to www.multipay.ph. A MULTIPAY PAGE will open with your REFERENCE NUMBER. Log in to www.multipay.ph and pay using your REFERENCE NUMBER. And that’s it! To verify the status of your application, click on the Transaction button in the left panel. You may review on the payment instruction by clicking the [PAYMENT INSTRUCTION] blue link on the Message column. Check on the STATUS column if the transaction is already PAID or UNPAID. 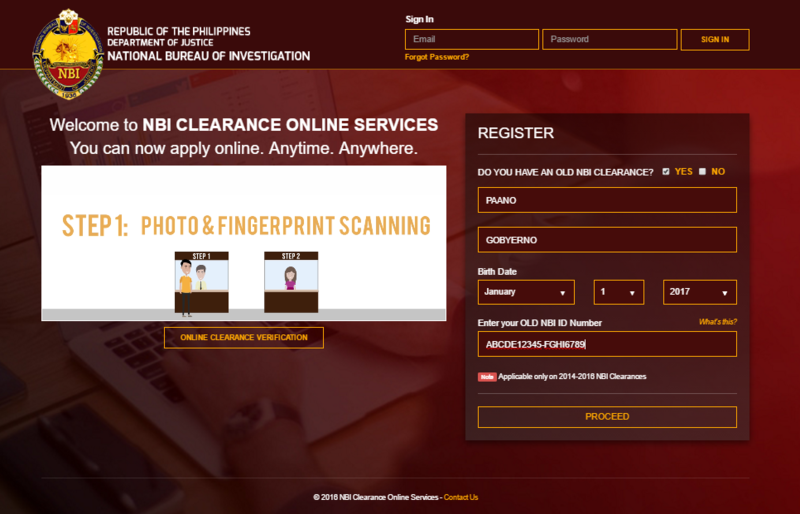 If your payment has already been processed and the STATUS is now PAID, you are now ready to appear on the date of your appointment to capture your fingerprint, picture and releasing of your NBI clearance. On your appointment day, remember to bring your ID and the printed Application Form. Those are the only requirements you need, aside from your personal appearance. If you made a mistake in one of your data entries in the application part and you have already set up an appointment, click on the Transaction button in the left panel. Then cancel your appointment. Edit your information using the EDIT INFORMATION button on the left. And proceed with Step 4 once again. 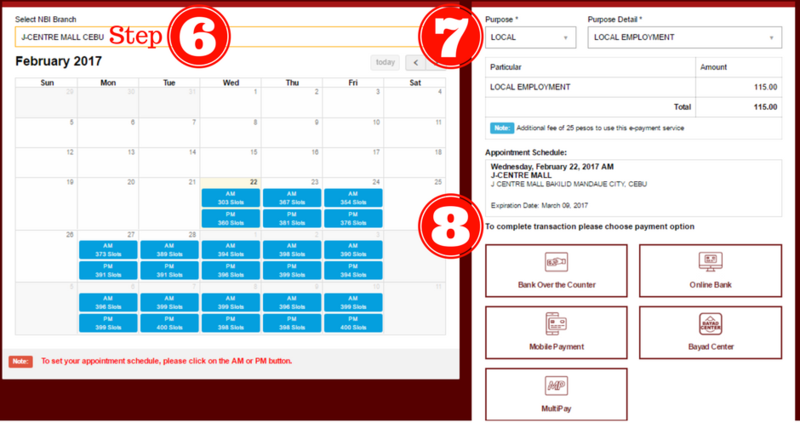 If you need multiple NBI Clearances with different purposes, you need to make 2 appointments. There is no option to file for multiple clearances. You have to file one appointment per purpose. File it on the same time slot so you can process it in one go. If you are using a shared computer like in an internet cafe, make sure to log out after use. The logout option is located in the drop down menu below your name in the upper right hand side.